Sesco Safety can provide an OSHA compliant, safe walking surface that allows your employees to walk on the roof surface unobstructed. Providing a safe walking path can be a grueling task due to the structure or slope of a roof. Sesco Safety can provide an OSHA compliant, safe walking surface that allows your employees to walk on the surface unobstructed. 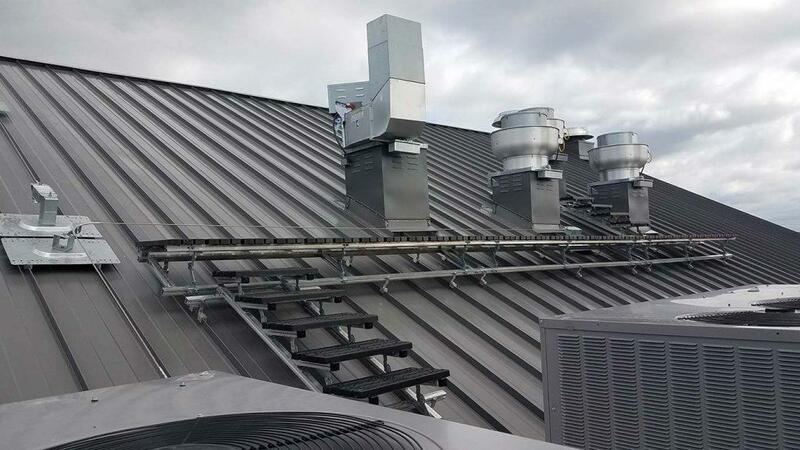 Sesco Safety’s walkways provide a flexible solution that requires no fabrication to assemble and can be installed on most low to medium sloped rooftops. It is also designed to fit several roof configurations including flat, rounded, sloping, or barrel shaped rooftops. The longevity of the roof is also extended as you won’t have employees wearing a walking path directly on the rooftop. 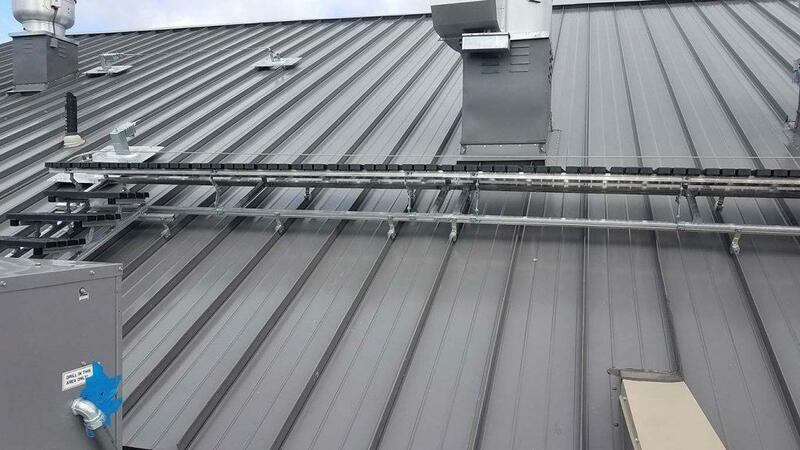 These walkways help reduce slips, trips, and falls whether your employee is working on a slippery membrane roof or walking over a standing seam profile. Contact Sesco Safety to discuss your modular rooftop walkway today.